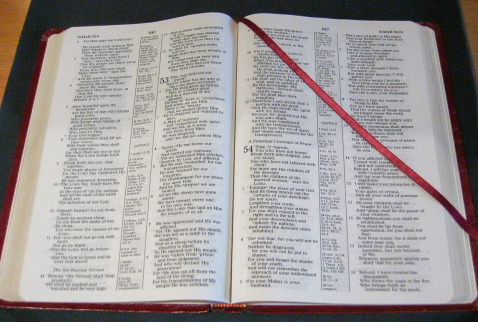 What is the Bible and why is it important? At our church the Bible is considered the primary and most authoritative way in which God speaks to us. We believe that the Holy Spirit inspired the entire process of the creation of scripture to insure that what we have in our hands is the word of God and God’s principal way of revealing his will to us. The Bible is God’s revelation to the world. We are not free to ignore it, change parts of it which we find uncomfortable, or to come up with tortured interpretations which allow us to accommodate it to the cultural fads of the day. We must take the scriptures seriously, and use them to follow the LORD's directions to us as Christians.